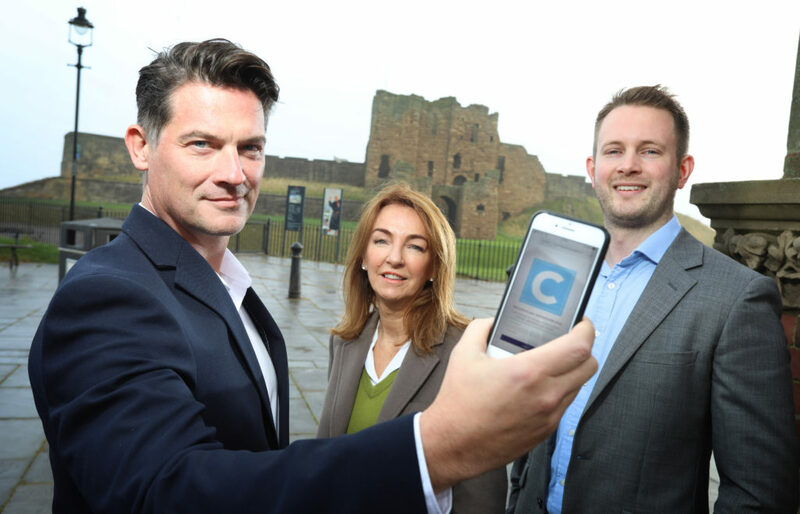 A North Tyneside technology firm is aiming to clean up right around the country after securing a £35,000 investment from the North East Small Loan Fund Supported By The European Regional Development Fund. Cleanily uses web and smartphone technology to connect independent cleaning professionals with people looking for cleaning services for their homes, rental properties and offices. Bespoke apps are used by the cleaners at the start and finish of each job they do, with GPS technology being included to confirm each service provider’s location, and payments from clients to cleaners are triggered automatically once a job is marked as complete. Cleanily has worked with regional fund management firm NEL Fund Managers to secure the Small Loan Fund investment, which it will use to support the official launch of the service in an initial ten locations around the UK and to help recruit head office staff that will be required as demand grows. It’s the first business in North Tyneside to take on an investment from the £120m North East Fund, of which the £9m Small Loan Fund is part. The ten launch locations, which include Durham and Northumberland, have been identified after Cleanily data-mapped the demographic profile of the whole of the UK, and more will be added to the list over the coming months. Service providers are being recruited via Facebook and Indeed advertising and are thoroughly vetted before becoming part of the Cleanily roster. Founder and managing director Edward Newton, who returned to the North East in 2016 after successfully running and selling a previous business in Dubai, says: “I noticed companies like Amazon and Google disrupting the home services market in the US, and began to look at the UK market for domestic cleaning. “Traditionally, cleaning businesses have scaled by selling franchises, whereas we’re using a technology platform. That’s not to say human interaction between both our customers and cleaners isn’t essential though. “We are not an online, ‘on-demand’ model, as unlike booking a taxi, I didn’t think it was appropriate for initiating a long-term relationship between customer and cleaner that way, but we’re applying similar ‘on-demand’ tech to automate things like payments and communication. “We’re now rolling out our services in ten starter locations where we feel there will be the highest immediate demand, and expect to be progressively adding new places to our list in the coming months. “Our aim is to quickly secure around 10,000 hours of weekly recurring business within the foreseeable future – it’s an ambitious target, but with the technology we have in place and growing numbers of both service providers and customers, we think it’s also a realistic one. Aimed predominantly at smaller SMEs, the £9m North East Small Loan Fund typically offers loans of between £10,000 and £50,000 to businesses in Tyne & Wear, Durham and Northumberland. Mike Guellard, investment executive at NEL Fund Managers, adds: “Cleanily has taken an innovative approach to solving an age-old problem and has mapped out a very clear way forward for the business. Dawn Dunn of the North East Fund says: “Cleanily is a great example of how the North East Fund can help a regional business to grow and create new commercial opportunities. “There is £120m available to companies across the region over the next five years and our fund managers will continue to deliver individual investments ranging in value from £10,000 to £2m.